View the Ochsner Medical Center Patient Guide, click here. Ochsner Medical Center offers private and semi-private rooms, except in critical care areas such as the Intensive Care Units (ICU), Coronary Care Unit (CCU) and the intensive care areas for infants and children. Patient rooms are assigned daily by Nursing Services, based on the medical needs of our patients and the availability of rooms. At Ochsner Medical Center, we are committed to providing the best care possible. Part of that commitment is to meet your special requests. We will make every effort to provide a private room upon request. However, because we cannot predict how many patients will want or need a private room, we may not always be able to provide one to you. It may be necessary to place you in a semi-private room or move you from one room to another to provide the type of care your condition requires. In the event that a room transfer is required and a private room is not available, we will place your name on a waiting list and move you into a private room as soon as one is available. We are unable to make reservations for private rooms in advance. We apologize for any inconvenience this may cause you and your family. 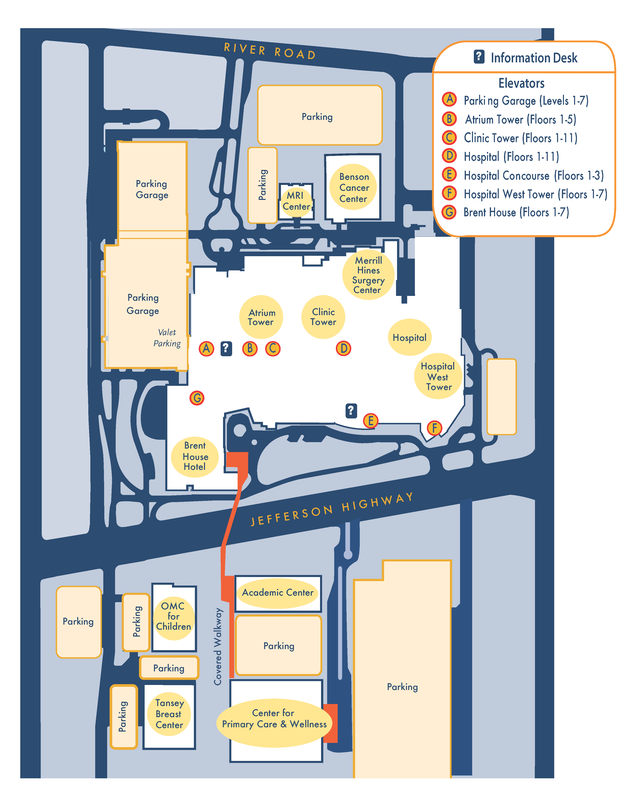 Click here to download the Ochsner Medical Center Map.